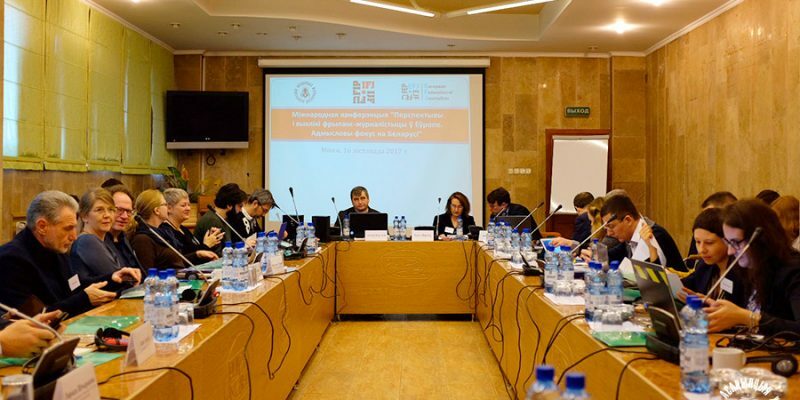 On 16 November 2017, the Belarus Association of Journalists (BAJ) in cooperation with the International Federation of Journalists (IFJ) and European Federation of Journalists (EFJ), organised a one-day meeting in Minsk focusing on “The Perspectives and challenges for freelance journalism in Belarus and Europe”. 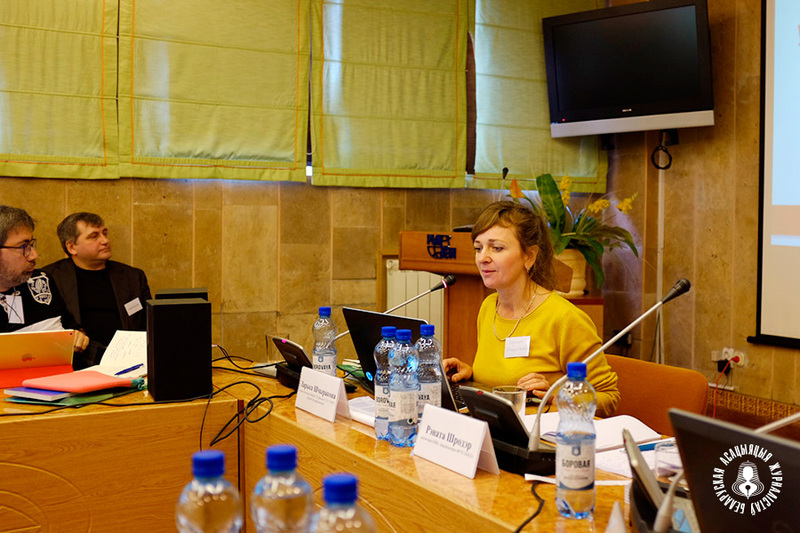 Around 40 journalists, including media lawyers, EFJ/IFJ affiliates and the EU Delegation to Belarus, discussed how to best put the desperate issue of freelance journalism at the heart of local and national authorities in Belarus and the European Union. Renate Schroeder from the EFJ, Michael Hirschler from the German Journalists’ Association (DJV), and other colleagues from the EFJ’s Freelance Expert Group (FREG) as well as freelance journalist Åsa Ohlsson from Sweden (former member of the FREG) and Fredrik Nejman from the Swedish Union of Journalists shared experiences about the increasing roles of freelance journalists for today’s media, and the role of unions and associations to organise and provide services for freelances. Colleagues from the Swedish Union of Journalists elaborated on specific solidarity projects for Belarusian journalists. BAJ leaders reminded everybody that the persecution of freelancers is at the most painful point at the moment. Since the beginning of the year, Belarusian journalists received more than 55 fines just for working with foreign media without accreditation. The BAJ is offering training and legal advice to freelance journalists, while keeping advocating to change the law. Freelance journalists in Belarus cannot operate freely in the country, as the state routinely refuses accreditation to independent journalists and harasses those who work with foreign media. 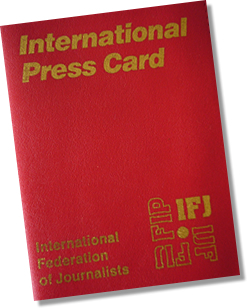 The EFJ and IFJ called on the government to remove all obstacles to the exercise of a free and independent media. 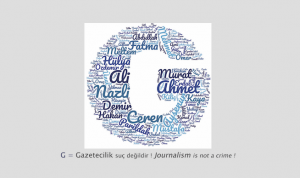 Allowing the registration of news media outlets and the accreditation of journalists should be a priority. 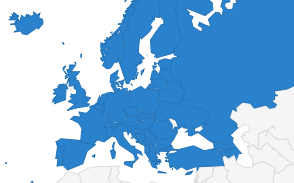 We demand that the existing law, and especially Article 22.9 of the Belarusian Administrative Code which forbids freelance journalists from operating, is removed, said IFJ Project officer Adrien Colin. Larysa Shchyrakova from Homel spoke about the challenges faced by a female freelance journalist in Belarus. The greatest challenge is that “they give you no chance to live a normal life,” Larysa said. She referred to the numerous trials, cases of harassment by police, and psychological pressure. “Sometimes even getting to the venue of the protest and working there is a real challenge, but the courage, sense of humour and great solidarity of colleagues kept me going till the point when they threatened to take my child from me”, she said, and broke out in tears. In 2017, Larysa stood 8 administrative trials, and had 11 police reports filed as well as over 20 offensive articles about her on the internet, two detentions, and one prosecutor’s warning. The Freelance Expert Group (FREG) met the day before at the BAJ office and discussed both how to advance at EU level, but also how to best help colleagues in Belarus.